Getting ready for the holidays and dreading being tempted by all of the unhealthy yet delicious foods? 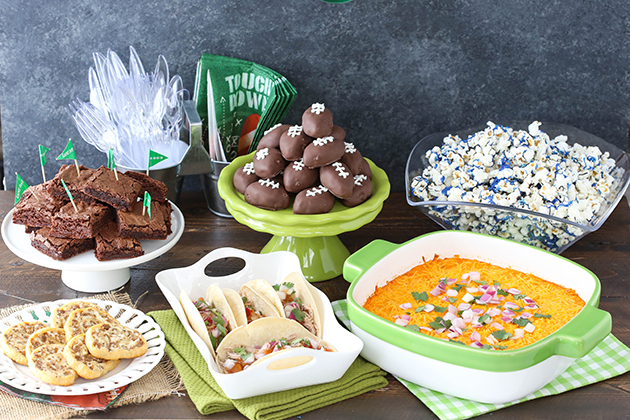 Instead, offer to host the party and create a beautiful, healthy and delicious spread that will satisfy your tastebuds and stop you from popping endless desserts into your mouth. These ideas from friends would be equally as tempting though so definitely consider adding a few to your menu plan! Our friends over at Melissa’s Produce heard about our plan and were so gracious to send us a beautiful shipment of all their fresh produce to help us make this spread! Their produce is just stunning! Their selection is pretty incredible too, so if you find yourself pressed for time this holiday season or just want the freshest produce to show up magically at your doorstep, check them out. They also have an incredible selection of baby-sized and hard-to-find produce. We used their beautiful baby apples for our healthy apple bites and they were just the cutest size! These bites are seriously so easy and tasty to whip up. My kids inhale these every time I make them! 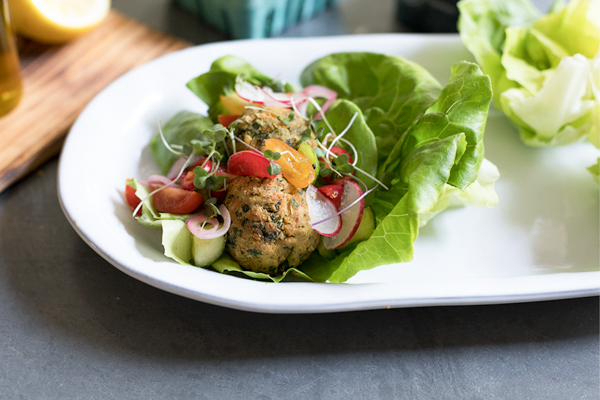 We used their beautiful white sweet potatoes and several heads of colossal garlic to make our healthy Sweet Potato Bites with Roasted Garlic Chicken Salad. Speaking of inhaling it all, let’s talk about this dip shall we? It’s got all that spicy, cheesy artichoke dip goodness with a whole lot fewer calories, less fat and no guilt. Hummus is my go-to base for warm dips; you really can’t go wrong by warming it up, adding a handful of cheese and tossing in whatever goodies you want in the mix. This time I made our simplest version of this dip. I mixed hummus, 1/2 a cup of cheese and a can of artichoke hearts together in the pot. And then I popped it in the oven! Seriously, it was really that easy. I love that my 1.5-Quart Saucepan from the KitchenAid® Tri-Ply Copper 10-Piece Set transitions perfectly from the stovetop to the oven to the table with this versatile dip! This dip would be fantastic with a caramelized onion base or a mixture of onions and sweet peppers too. Really it’s such a perfect base so don’t be afraid to get into the kitchen and experiment with it! Serve it with thinly sliced bread rounds and beautiful chopped up peppers or other veggie dippers for your gluten-free friends. Melissa’s also sent along these beautiful Kabocha squashes for our Curry Kabocha Squash Soup. This was my first time cooking with them after hearing other bloggers rave about them and I have to say, it’s true! They are absolutely fantastic and really quite different than other squash. We found them to be best pureed or cut very small as they have a bit of a peanut butter consistency when they are cubed and cooked in a soup. The beauty of kabocha squashes is that, like a zucchini, they have completely edible peels. I had a few chicken carcasses in my freezer so we decided to make our stock from scratch. 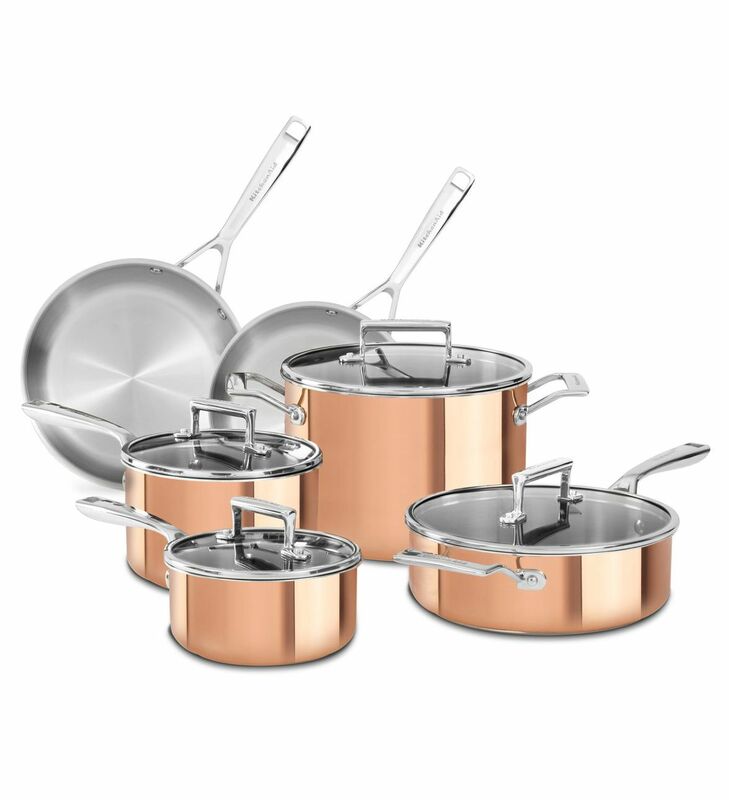 It’s so easy and my 8.0-Quart Stockpot, also from the KitchenAid® Tri-Ply Copper 10-Piece Set, is perfect for the job! We tested the squash both cut in half and roasted in the oven, and just cut up and cooked whole in the soup, and both left us with an equally great end result. We added in 2 cans of coconut milk, 2 tablespoons of our favorite curry paste, salt and pepper and pureed it. It’s honestly so good all on its own that you barely have to help it along to get a fantastic soup! Serve it with a dollop of Greek yogurt and some whole wheat naan. If you want to make it a bit more substantial, it’s also fabulous served with some cooked spicy sausage on the side. No party is complete without something tasty to sip on and we love these 2-Ingredient Pomosas. They are literally just pomegranate juice and champagne! You can also try mixing and matching and using bubbly pomegranate sparkling juice with a bottle of Pinot Grigio. And for the perfect finish we sweetened things up with these Salted Dark Chocolate Dipped Fruits. We used a mix of dried and fresh fruit. 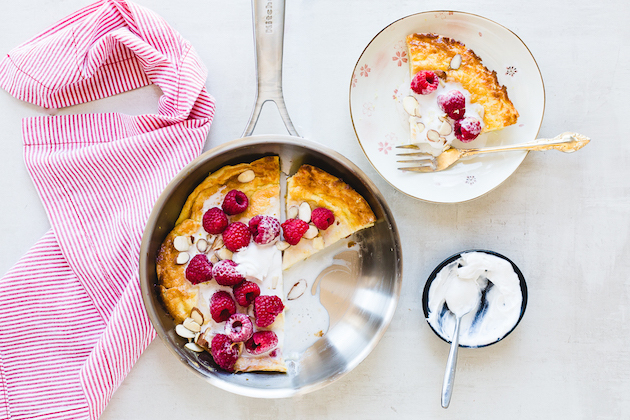 And what’s nice about this dessert is that you can use any fruits you love and can find locally! 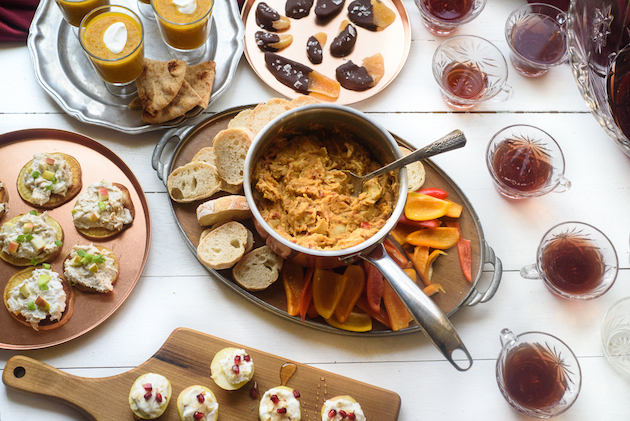 I hope these ideas have gotten you thinking about how to host a healthier holiday party this year! We can’t wait to see what these ideas inspire you to create in your kitchen this holiday season! Be sure to share your healthy holiday recipes with us on Instagram using #MadeWithKitchenAid. Mix hummus, artichoke hearts and cheese together in a 1.5-Quart Saucepan from the KitchenAid® Tri-Ply Copper 10-Piece Set. Bake at 325 degrees for 30 minutes. Top with an extra bit of cheese and allow to melt. Serve immediately with bread and dippers. Note: This is our base recipe! It’s perfect to customize to your favorite tastes. Caramelized veggies or spinach that is cooked and fully drained also make delicious additions. Get creative! Saute onion and garlic in olive oil until onions are translucent in an 8.0-Quart Stockpot from the KitchenAid® Tri-Ply Copper 10-Piece Set. Add 1-2 tablespoons curry paste and cook for 1-2 minutes. Add chicken stock and kabocha squash (skins on is fine). Bring to a boil. Simmer for 30-45 minutes until squash is completely tender and starting to breakdown. Taste, season with salt and pepper and adjust spice if needed (more curry paste can be added here, just blend it a bit in a cup with a bit of stock before adding to pot). Puree in batches in blender or food processor, or use an immersion blender. Serve with Greek yogurt, naan and sausage if desired. Note: Please use caution when pureeing hot liquids! Soup reheats well so can easily be made and cooled entirely before pureeing the following day.